To sustain a conviction for wire fraud pursuant to 18 U.S.C. § 1343, is “convergence” between the intended victim of the fraud and the party deceived by the fraudulent conduct using the wires required? Until recently, this has been an open question in the Second Circuit. On August 31, 2016, in United States v. Daniel Greenberg, 14-4208-cr; 14-4278-cr, a Second Circuit panel (Straub, J., Livingston, J., Chin J.,) held that convergence is not required. The defendant-appellant Daniel Greenberg, the owner and operator of an Internet retailer of discounted clothing, was charged in the U.S. District Court for the Eastern District of New York with running a scheme in which he caused fraudulent credit card charges to appear on the bills of former customers from whom he retained credit card information. Following a jury trial, Greenberg was convicted of counts of wire fraud, access device fraud, aggravated identity theft, and money laundering. He appealed his conviction on a number of grounds, one of which was that the wire fraud counts should have been dismissed because of a lack of convergence between the parties injured and those deceived by the scheme. Greenberg argued that his deceptive conduct using the wires was directed toward the issuing banks and credit card processors when he lied to them when confronted about the fraudulent purchase charges, and not to the customers, who were the victims of his scheme. The Second Circuit panel rejected Greenberg’s argument and affirmed his conviction, holding that nothing in the statutory text of 18 U.S.C. § 1343 suggests that the defendant’s deceptive conduct must be directed at the person or entity that the defendant seeks to defraud. The Court noted that four other Circuits that have addressed this question -- the First, Fifth, Seventh, and Eighth Circuits -- have likewise rejected the requirement of convergence in the context of a mail fraud charge. 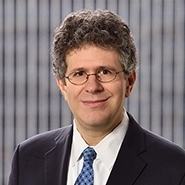 Writing for the Court, Judge Livingston distinguished previous Second Circuit decisions that Greenberg contended supported the imposition of the convergence requirement. Most notably, she distinguished United States v. Evans, 844 F.2d 36 (2d Cir. 1988), on the ground that, although the Court observed in dictum that it “seems logical that the deceived party must lose some money or property,” it expressly declined “to adopt that proposition as an element of wire fraud.” Although the Court may have had an opportunity to avoid deciding this issue (the government argued on appeal that even under a “convergence” theory, the evidence was sufficient), the Court seemed eager to resolve this oft-litigated question. The Court also disposed of a claim that the indictment needed to be dismissed due to the spoliation of evidence. The evidence in question was computer data to which the FTC had access in a civil action that was not successfully imaged and provided to criminal investigators. Government bad faith is required for such a remedy, and no such showing was made here. In light of the Court’s decision in Greenberg, Second Circuit parties involved in wire fraud cases now have clear guidance that a wire fraud conviction does not require that the defendant deceive the same entity that is defrauded. There is a certain logic to the notion that the victim and the party to whom the misrepresentation is made should be the same, but as in Greenberg, the Court seemed to think that this was an unduly narrow construction of the wire fraud statute. The panel does not identify any Circuits that have issued contrary decisions on this subject, and so further review from the Supreme Court is unlikely. Given the Court’s approving citation to the holdings of the First, Fifth, Seventh, and Eighth Circuits reaching the same conclusion in the context of mail fraud charges, which are typically treated in a similar fashion to wire fraud charges, it is likely that the same rule will apply in the Second Circuit with respect to mail fraud charges as well.